The Internal Audit And Fraud Analytics Conference takes place in Kuala Lumpur from February 27th to March 1st 2019. This conference is part of the Digital Series, Asia’s Biggest Cross-Functional Business Event. It aims to highlight key areas for transformation to enhance the Internal Audit function. Enhance your knowledge in risk assessment, agility, investigation and forensic thinking. Warren Knight is presenting at the event on February 28th. His talk ‘The future for your digital customer’ will share with the audience how everyone in the banking world can use technology to help their operation engage customers, grow and be sustainable. 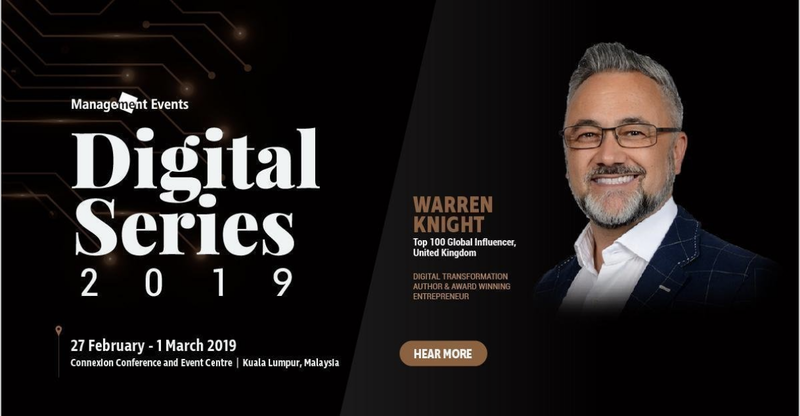 Warren will share his online methodology on how building brand awareness and marketing to your niche target audience can decrease the length of time in the sales cycle and build customer retention by having a mindset shift and using the latest A.I. and Marketing Automation technology.